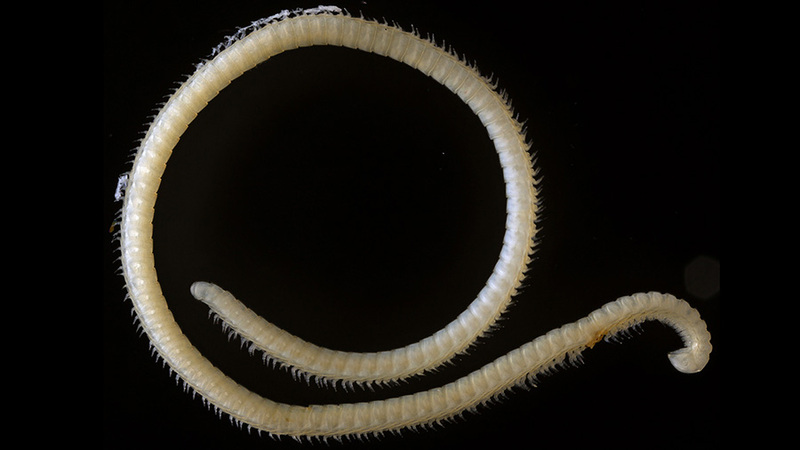 Along with many spiders, pseudoscorpions, and flies discovered and catalogued by the cave explorers, a tiny threadlike millipede was found in the unexplored dark marble caves in Sequoia National Park. The enigmatic millipede was sent to diplopodologists (scientists who specialize in the study of millipedes) Bill Shear and Paul Marek, who immediately recognized its significance as evolutionary cousin of the leggiest animal on the planet, Illacme plenipes. The new species may possess “only” 414 legs, compared to its relative’s 750, yet, it has a similar complement of bizarre anatomical features, including a body armed with 200 poison glands, silk-secreting hairs, and 4 penises. The study was published in the open access journal ZooKeys. This new millipede, named Illacme tobini after cave biologist Ben Tobin of the National Park Service, is described by its discoverer Jean Krejca, at Zara Environmental LLC, and millipede taxonomists Paul Marek at Virginia Tech and Bill Shear, Hampden-Sydney College. 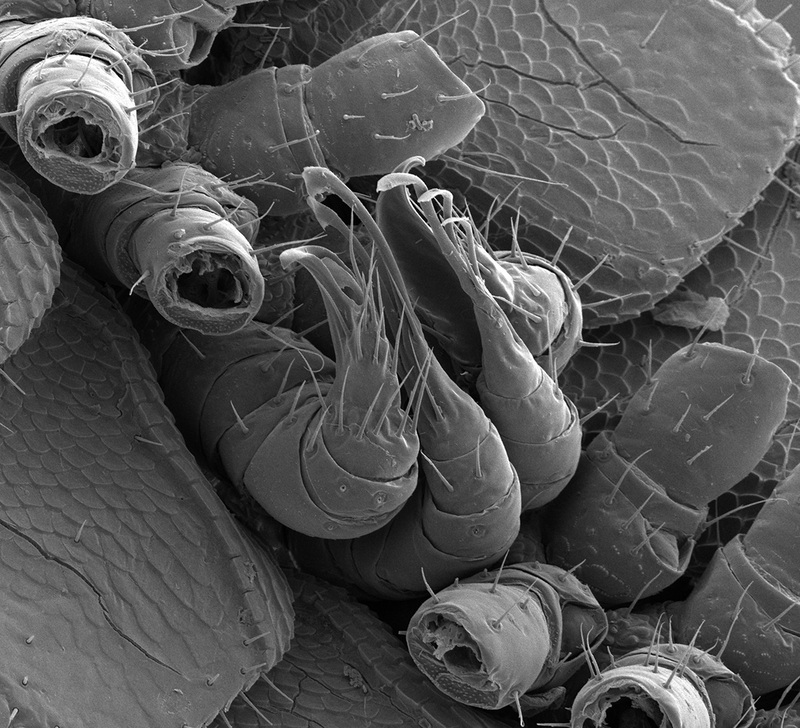 “I never would have expected that a second species of the leggiest animal on the planet would be discovered in a cave 150 miles away,” says Paul Marek, Assistant Professor in the Entomology Department at Virginia Tech. It’s closest relative lives under giant sandstone boulders outside of San Juan Bautista, California. In addition to the new millipede’s legginess, it also has bizarre-looking mouthparts of a mysterious function, four legs that are modified into penises, a body covered in long silk-secreting hairs, and paired nozzles on each of its over 100 segments that squirt a defense chemical of an unknown nature. In conclusion, the authors note that by exploring our world and documenting the biodiversity of this planet we can prevent anonymous extinction, a process in which a species goes extinct before we know of its role in the ecosystem, potential benefit to humanity, or its beauty.